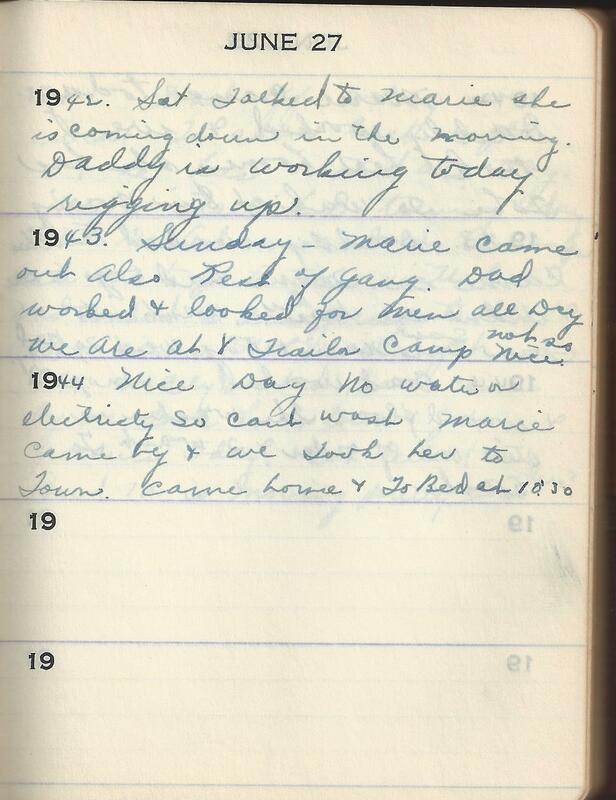 1942 Sat Talked to Marie she is coming sown in the morning. Daddy is working today rigging up. 1944 Dad on Days Marie came by. I wanted To wash letter from Bud & He is still in Texas. Image | This entry was posted in Tennant, Wright and tagged Family history, genealogy, Martha Marie Tennant, Martha Marie Wright, Martha Marie Wright Tennant, Martha Tennant, Rene Baron, Sylvia Rene Stevens. Bookmark the permalink.